Colocation vs. Cloud Services: Which is Best? IT departments are increasingly forced to make the most of limited budgets. According to Kaseya, maintaining a sophisticated infrastructure with limited staffing and "budget squeezes" is a major pain point for many businesses. Surveys of CIOs indicate that the top business priorities for 2016 include security, the cloud, consolidation, and business intelligence. If you're one of many organizations who need a more robust storage solution soon, you're likely wondering whether colocation or the cloud is best for you. Both colocation and cloud services can offer immense cost savings for businesses who need more storage quickly without a big budget. Ultimately, a comprehensive understanding of your internal resources and business needs will determine which solution fits your business best. 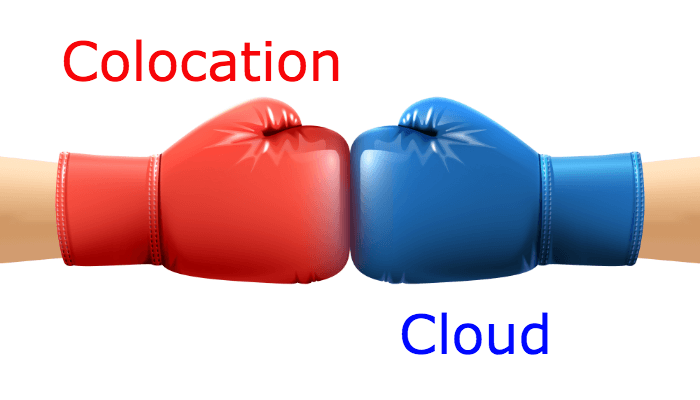 In this blog, you'll learn the pros and cons of both colocation and cloud hosting, so you can determine which one will offer the most benefits. 1. How is Your Talent and Equipment? Colocation is the process of owning and maintaining your own equipment and software while renting shared data center space and associated services like cooling and power. With this method, your staff are responsible for purchasing, installing, and implementing equipment in your shared space. Post-implementation, you will also be responsible for troubleshooting, maintaining, and upgrading your equipment on an as-needed basis. For organizations with robust IT infrastructure talent, choosing between colocation and cloud hosting can come down to a true cost and benefits analysis. If you have the talent to maintain your own servers and the budget to purchase your own equipment, colocation may be the right option for you. However, for companies with limited bandwidth and internal talent, colocation can be an unreasonable burden for staff members. 2. How Much Assistance Will You Need? If you're on the fence about whether your company's staff can manage colocation or not, a prospective colocation provider may offer "a la carte" assistance with installation, maintenance, and upgrades. These on-demand services can be incredibly convenient for factors like staff vacations, or periods of busyness due to other technology projects that compete for staff priorities. If your need for assistance will be occasional and primarily to cover factors like vacations or maternity leaves, planning to use support on an intermittent budget may be the right option. 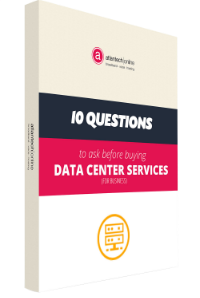 However, if you anticipate having to rely heavily on a colocation vendor for maintenance and troubleshooting, the cost of paying for support on-demand could exceed the price of hosted cloud. 3. Do You Plan to Grow? Many cloud hosting providers offer incredibly flexible service agreements with customers, which are designed to benefit quickly-growing organizations. However, not all hosting providers are flexible. Colocation is an extremely scalable option, provided your company will have the budget for equipment acquisitions to meet your data center needs. Understanding your plans for growth can be key in determining which option makes the most fiscal sense. With a flexible cloud service provider, you may find that purchasing more storage in small increments costs less than buying equipment. If you are planning on growing rapidly or expanding into new business lines that will carry a heavy hosting load, ensure a prospective cloud provider won't ask for financial penalties for scaling your service up. 4. Are You Required to Comply? If your company is required to comply with HIPAA, SOX, or PCI, the costs of non-compliance and risk should factor into your colocation or cloud decision. Comprehensive studies on the costs of non-compliance indicate that companies found lacking in an audit can expect to shell out up to millions of dollars in fines and lost business. Companies with compliance requirements should carefully consider the risks associated with colocation, which requires staff members to handle the compliance aspects of hosting. If you are unsure of whether your team is prepared to handle this burden, seek out a hosted cloud provider who is experienced with compliance requirements. 5. Do You Need 24/7 Support? Your mileage may vary when it comes to the availability of support with colocation services. Some companies offer extremely limited support, which is primarily available during business hours. Other colocation brands are available 24/7/365. If you need data availability 24/7, you need a colocation or cloud company with 24/7/365 support. 6. Is Data Uptime Connected to Your Company's Profitability? If your employees need access to your data assets, a cloud host can offer uptime guarantees that protect your business from expensive periods of data nonavailability. Unless your business has a stellar record of maintaining high availability with self-managed hosting, colocation may present too many risks. If even short periods of data accessibility issues are unacceptable, seek out a hosting provider who offers uptime guarantees. Before signing a contract, always check references to ensure they have a record of meeting or exceeding the uptime guarantees stated in their service level agreement (SLA). 7. Are You At-Risk for InfoSec Attacks? Information security is an incredibly complex and rapidly-changing field. Organizations of any size, in any industry, are at risk for attacks. Many high-profile data breaches have been caused by poor vendor information security practices, including Target. According to the Ponemon Institute, the average cost of a data breach is now $3.8 million. Information security should play a significant role in your choice between colocation or cloud hosting. The key factor here, once again, is your internal talent and bandwidth. If you're leaning towards cloud as a way to outsource your data security and increase privacy, have a frank conversation with any prospective hosting providers about their information security practices. It's crucial for any organization to understand that their data storage methods protect their customers. Colocation vs. Cloud: Which One is Right for Me? For many companies, the decision between colocation and cloud comes down to internal talent, the desire for control over hosting, and data availability needs. While Colocation offers companies the benefit and flexibility associated with total hosting control, you need to assess whether your team can handle the load of maintenance, data availability, and information security. For brands that are bandwidth challenged, custom cloud hosting packages can offer an enormous degree of flexibility and convenience. To learn more about whether colocation or cloud services is the best fit for your company's unique needs and budget, contact an expert representative of Atlantech today. We're a trusted provider of data center, cloud, and colocation services for companies of all sizes. We offer flexible solutions and expert advice, so you can find the solution that's right for your business.